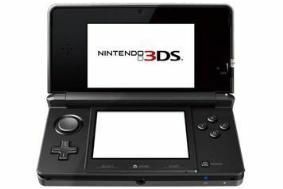 Nintendo 3DS to get Sky 3D content in the UK | What Hi-Fi? The announcement came at the 3DS press launch in Amsterdam this afternoon. Eurosport has also been signed up to provide sport content for the handheld device. 3D games are a big part of the development plan for the 3DS, with Super Street Fighter IV 3D, Rayman 3D, Splinter Cell 3D, Dinosaurs 3D, Asphalt 3D, Rabbids 3D, Pro Evolution Soccer 3D announced so far. A total of 25 games will be available at launch in March. Talking about PES 3D, Nintendo says: "3D has enabled us to express depth and improve realism, so players can experience the game as though in the stadium." A new Spot Pass facility allows you to send and receive content to other nearby users even if the console if switched off, provided you're in a wi-fi hotspot. Neat. And Street Pass allows users to have head-to-head battles with other passing gamers. Aardman's Shaun the Sheep will also be released as a series of one minute films for the 3DS, starting from the end of this year. The 3DS launches in the US on March 27th for $250, European release date is March 25th – UK price to be confirmed.